Camp Micah is going Out of this World! 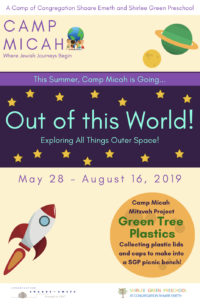 This summer at Camp Micah our theme is “Out of this World”. 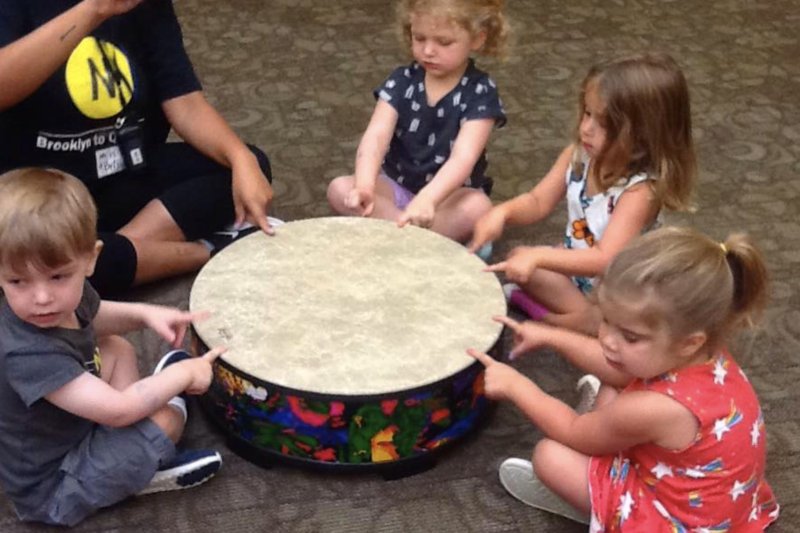 Each week the campers will explore a new topic that corresponds with outer space. The counselors create lesson plans where campers will be using all five senses to investigate each weekly subject. Along with the classroom lesson plans, each class visits different specials including music, yoga, water play, science, and art. The specialists in each class provide an educational activity that corresponds with our summers theme. This summer our Judaic theme is Tikun Olam (repairing the world). Camp Micah will be collecting plastic caps and lids that will be given to Green Tree Plastics Company where they will make a picnic bench from our recycled caps and lids.